I shop, therefore I am. But when I’m sitting at home job searching day in and day out I tighten the purse strings, and smartly so. Of course after wearing a uniform for two years I’m bound to be lacking in the career wear category. Since searching for a new job I’ve been giving a lot of thought to career wear and what I believe I’d like to wear to an office job. But of course, I’m waiting until I actually get a job before I go shopping, because at this point I’m still unsure as to where I’ll end up. But there is no problem with browsing and creating a wish list now and then. 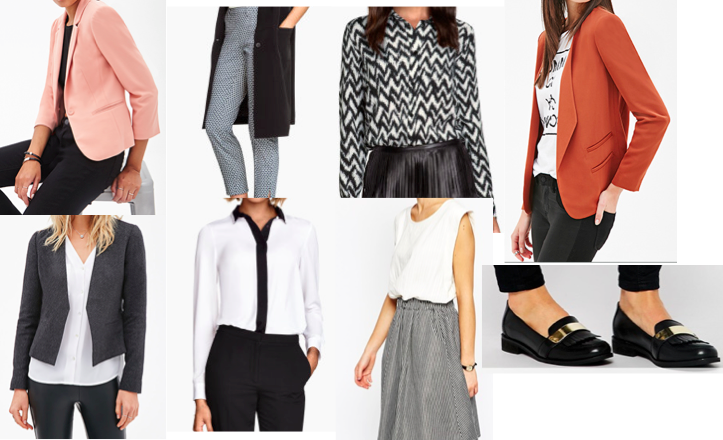 These are a few items I’ve found in my browses that I think I’d like to wear to the office and some idea’s as to a ‘career appropriate’ style for myself. What do you like to wear to the office?